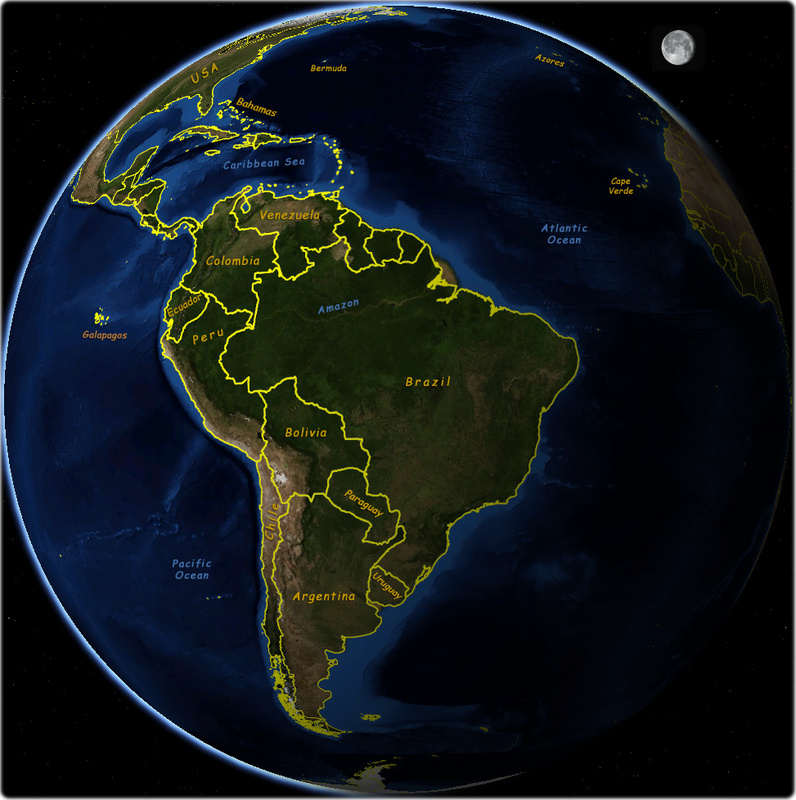 Copyright © Geographic Guide - Brasiilia, tourist Guide and Maps, America continent, countries. Brasilien, , Pindorama, Yn Vrasseel. 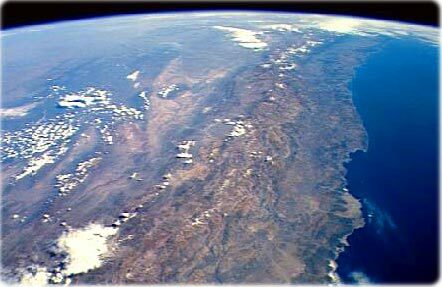 Chile Coastline and Andes Mountains, by NASA. Andes is the main mountains of South America and one of the greatest mountain systems of the world. It includes some of the world’s highest peaks, more than 50 of them soar higher than 6,100 m above sea level. The lofty plateaus and high mountain valleys of the Andes contain some of the highest permanent human settlements in the world. The Andes are the longest system of high mountain ranges on earth. They extend for more than 8000 km in a narrow belt along the western edge of the South American continent, from the coast of the Caribbean Sea in the north to the island of Tierra del Fuego in the extreme south.